I have noted in another place that my wife and I started taking the main San Antonio newspaper, the Express-News, not long before the recent US Thanksgiving holiday. 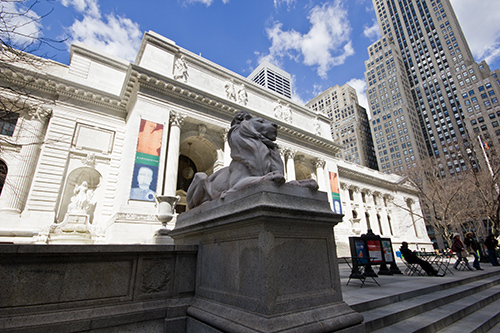 In that other place, I’ve taken to doing with the Express-News what I used to do with the New York Times, back when I lived in The City and had subscription access to that newspaper through my then-institution or through that shrine to human knowledge, the New York Public Library. If there is a temple at which I might pray, this might well be it. The thing is, I do not live in San Antonio. I work there, currently part-time, as I think I’ve made clear (here, for only one recent example), and my brother and his family live there, but I do not. My wife does not. As such, the Express-News is not my local paper. And if it is the case, as I’ve elsewhere noted, that part of the reason for reading a newspaper in the current environment of rapidly produced, rapidly accessed media is in aligning with a community, then my taking the Express-News instead of the six-days-a-week main newspaper of my hometown, or the weeklies in the town and the county of which it is the seat, says something about how I view myself. San Antonio is the seventh most populous city in the United States, per the city’s website as of 30 November 2018, although it does not, in many cases, act like a large city. It does not have the self-importance of New York City, to be sure, nor the high profile of Los Angeles or Chicago. It does not have the self-aggrandizing tendencies of even smaller cities such as Austin (which, given the state capitol and several other things less polite to name, appears to have an inferiority complex), nor has it the social cachet of Dallas/Ft. Worth or Houston. Yet it still exerts substantial influence on the nation, hosting some of the best trauma- and burn-treatment centers on the planet, as well as the US Air Force’s Basic Training Command. Surprisingly, it also serves as a center of medieval studies, with the online version of the Annotated Chaucer Bibliography hosted at UTSA and the current-to-this-writing Chaucer Bibliographer, Dr. Stephanie Amsel, a graduate of the same institution. Knowing such things, what it might mean that I align myself to San Antonio, as opposed to, say, my hometown is something I might guess at, but none of us see ourselves clearly in mirrors. There is always some defect in the surface, some impurity in the air, some imperfection in our very eyes that prevents a view as good as we might hope to have. I do not think it prudent to analyze myself in such a way. But I imagine that others might take a turn at doing so; I wonder what the biographical tidbit my subscription betokens might do to add to such a critique. Help me keep producing content; send some money my way. Think of it as a holiday gift.